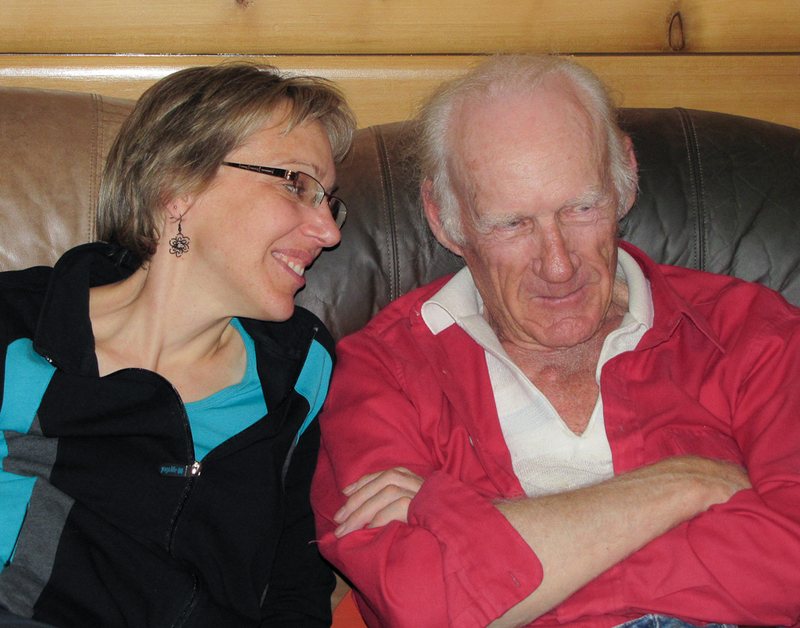 My Dad began his stitching career by getting caught in a piece of farm machinery when he was a young boy and breaking his leg. 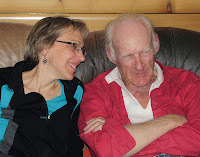 He was unable to go to school for a few months and being one of 5 sons and no daughters, my grandmother put Dad's idle hands to work by learning how to darn socks and embroider. 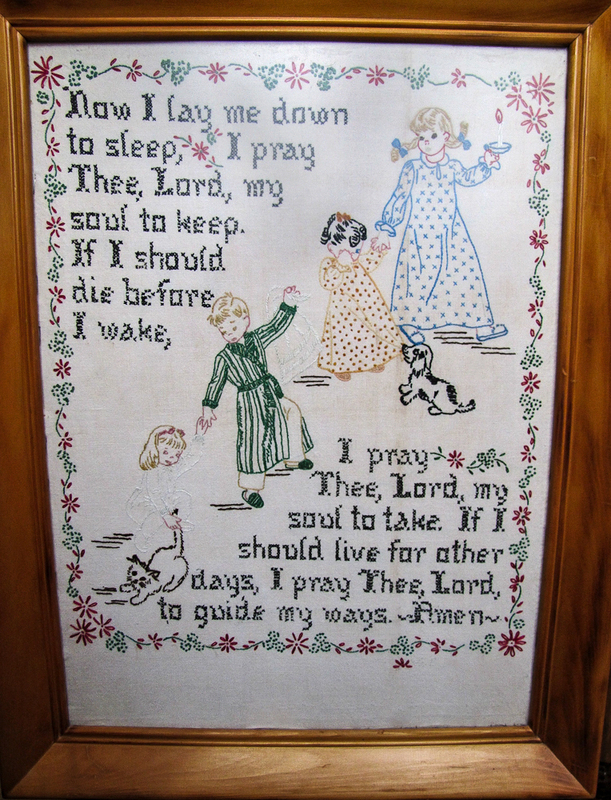 I have always treasured this first piece he ever stitched and it hung proudly on my bedroom wall for all my growing up years. It has since been bequeathed to one of my own daughters. 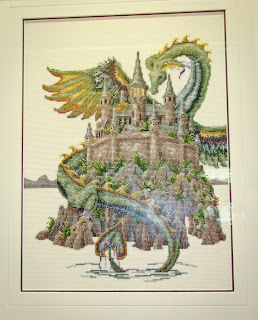 Deciding to become a snow-bird and go south every winter, my Dad knew he'd have time to work on a bigger stitchery project and in Calgary, he bought this Teresa Wentzler cross-stitch pattern titled The Castle. He bought the pattern, threads, built his own frame and worked on it a bit every afternoon while enjoying the warmth of an Arizona winter. 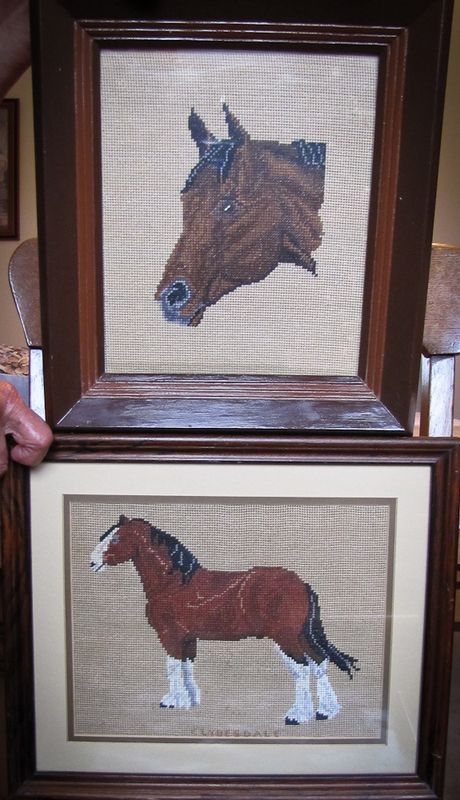 Always interested in trying something new, my Dad unexpectedly picked up rug hooking for a while and hooked a few wall hangings for us all. This wall hanging of violets is just one of many that he did. For quite awhile my Dad had hankered to stitch the popular Pinkie and Blue Boy patterns but he didn't want to stitch them separately. Heading down once again to spend a winter in the Arizona desert, he found a Jean McIntosh pattern of them together titled First Love and did a wonderful job of stitching this lovely pattern. 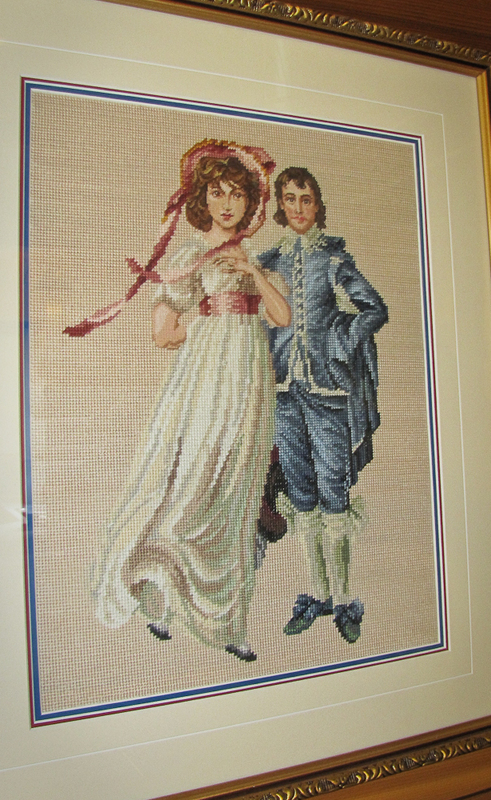 It hangs proudly in the living room and is always a pleasure to see. 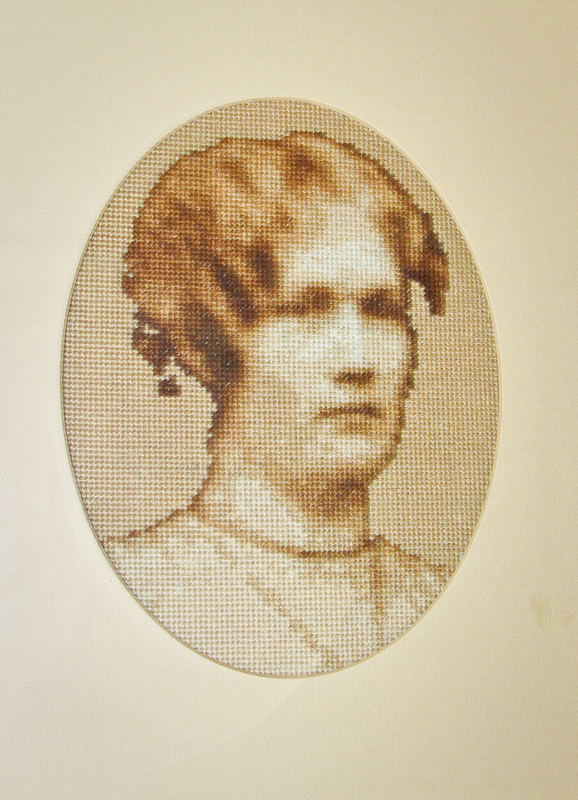 My father has a lovely photo of his grandmother that he wanted to try to stitch as well. 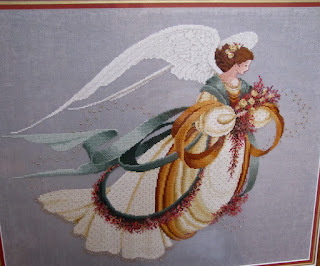 It seemed like quite an undertaking but amazingly, he graphed out all the different shades and stitched this beautiful piece of her. A few years ago though my Pop had to put his frames, hoops, threads and needles away as his hands were becoming too shaky. He bought himself a small sewing machine to take to Arizona instead and I was the lucky recipient of all the leftover threads from all his many stitching projects. 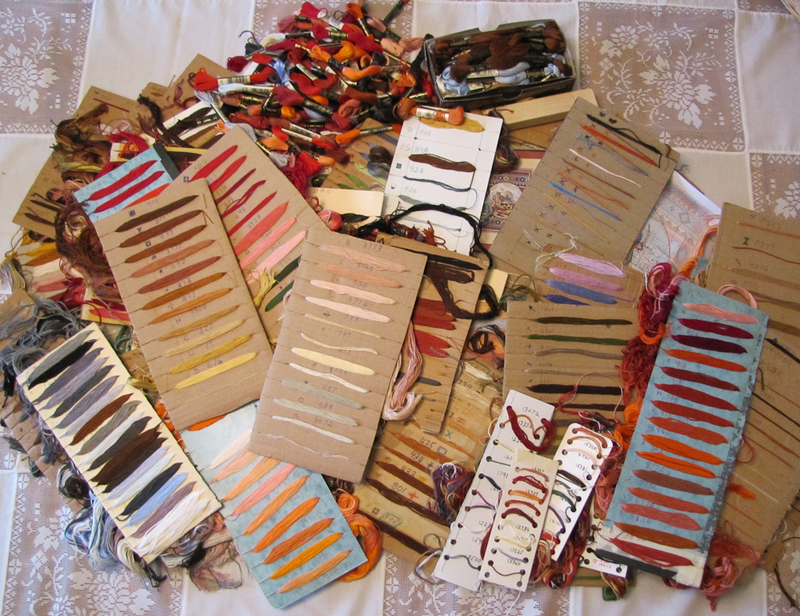 When I saw him this year he passed them all on to me and I love that I have all my Dad's threads to use in my own stitchery projects. Needless to say, I love the fact that my Dad loved to stitch and it was always neat to talk with him about stitching and what he was going to work on next when going south for the winter. 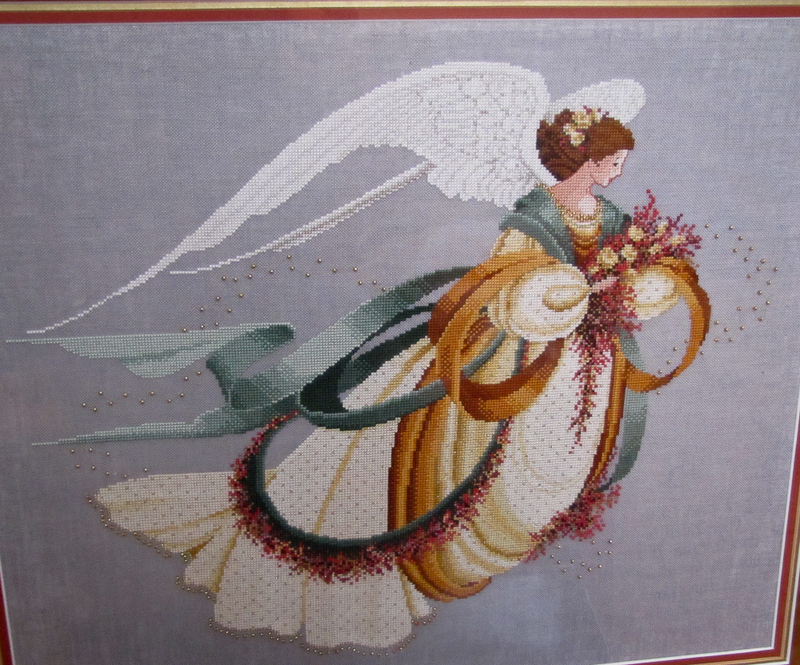 What I have shared with you are just a few of the many pieces he stitched and I will leave you with this beautiful autumn angel he did for my daughter one year for Christmas. What a wonderful inspiring Dad to have Jeannette. His work is beautiful and I guess that is where you got your love of stitching from. I have all the left over threads and beads from my mother in law who loved to stitch, and I enjoy using them in my pieces too. So what is your Dad making with his sewing machine? Wonderful lovely story of your Dad:) Yes...I'd like to know what he did with that sewing machine too. such a talented Dad you have there, that castle he tackled when he was quite new to stitching, he really took the bull by the horns, I expect that is because he was a farmer!! 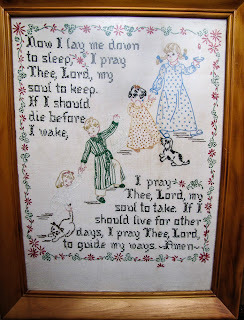 The now I lay be down to sleep, I stitched on of those years ago but I am sorry to say do not have a clue where it has gone. 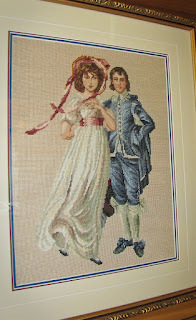 To have done the picture of his grandmother must have given him so much pleasure, wonderful stitching. Thank you very much Margaret for your kind comments!! Jeanette - these are such wonderful treasures that your Dad left for you to enjoy! What a joy it must have been to have had this passion for stitching to share together.